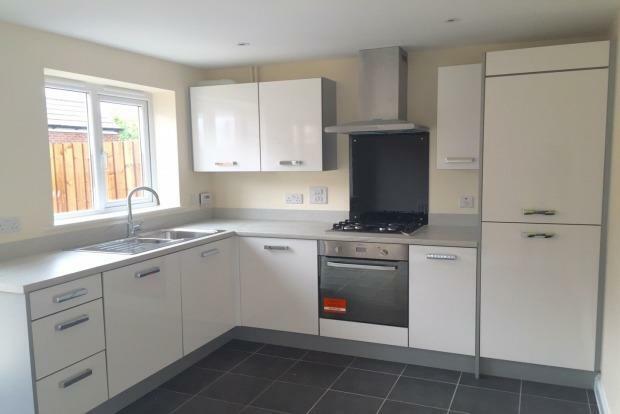 3 Bedroom Semi Detached House To Rent in Nottingham for £650 per Calendar Month. This property is absolutely GORGEOUS and is a MUST VIEW. As you enter the house you enter into a hall which has a downstars WC and sink. Through the door you enter a MASSIVE lounge, with loads of space for that corner sofa so you can snuggle up and watch a film. Within the Lounge you have access to the Kitchen diner and the Stairs leading to the first floor. The Kitchen is EXTREMELY modern and has enough space for a Table & Chairs. The Kitchen includes Fridge Freezer, Washing Machine and a Dishwasher... Yes... No more washing up! The Kitchen also has access to the rear garden through patio doors. To the first floor are THREE bedrooms, TWO of the bedrooms have wardrobes that are built in. The Master bedroom also has an ENSUITE with shower cubicle, WC and sink. Bedroom number three would suit a Study... Nursery or a small guest room. Externally you have two allocated parking spaces. Do Not Miss Out On This Property, Call Us Today To Arrange Your Viewing!